Oh no! 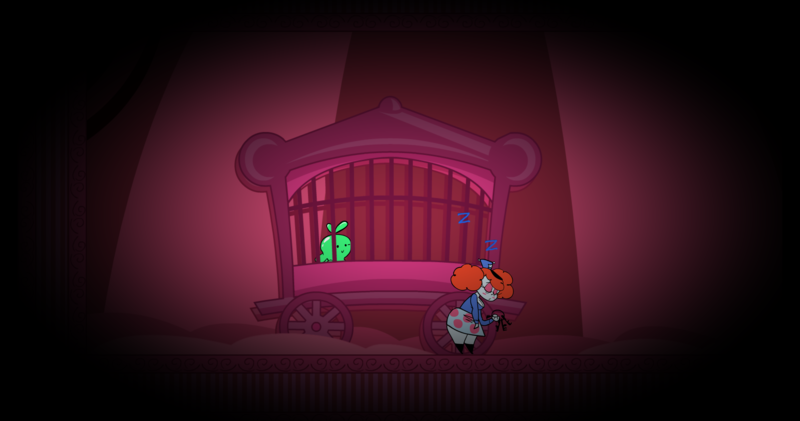 Little Slimerella has been kidnapped by the no-good showrunner of the infamous Strawberry Circus, home to a variety of circus fare, entertainment and tomfoolery. Fortunately, as any slime girl expert knows, a slime girl can take control of someone by simply sliming their way into their head! It's just science, after all. Escape from your cage and use your environment to work your way toward taking down that nasty showrunner and escaping for good! 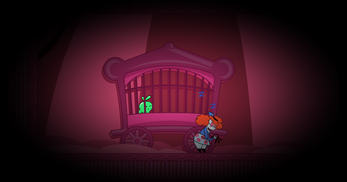 This is a one level game made in Construct 2 for the second Strawberry Jam here on itch! It's only one level (with no boss yet, unfortunately), but it has a linear game path in place, as well as secrets and extra characters to control for those who dig around in the back rooms of the circus. The goal was to at least make a game loop that could be fun to play, so I hope this ended up being fulfilled here! To run the game on Windows, unzip and simply double-click on Slimerella.exe. To run the game on Mac, download it and click on the download icon that appears. The game should just start right up! Thanks for checking out the game, by the way! Loved this game!!! The music was great and i had a lot of fun playing it. I can't wait to see what else you do with it!! I hope you enjoy the play through I did on it!!! Woah, thank you so much for taking the time to make a video talking about the game, and also for all of the cool things you had to say about it!! I'm pretty sure you're also the first person to ever make a video talking about any of my games, which just makes this even more awesome to see. Also, seeing you're interested in the game getting more development later on means a lot to me as well. I'll be sure to keep that in mind going forward! I'm not sure if I'll get to come back to this one anytime soon due to other projects I'm helping with, but if I can find a good opportunity to come back and flesh it out some more, I'd love to do it! There's just too much I could come back to that I had to scrap in order to get the game done by the jam deadline, haha.